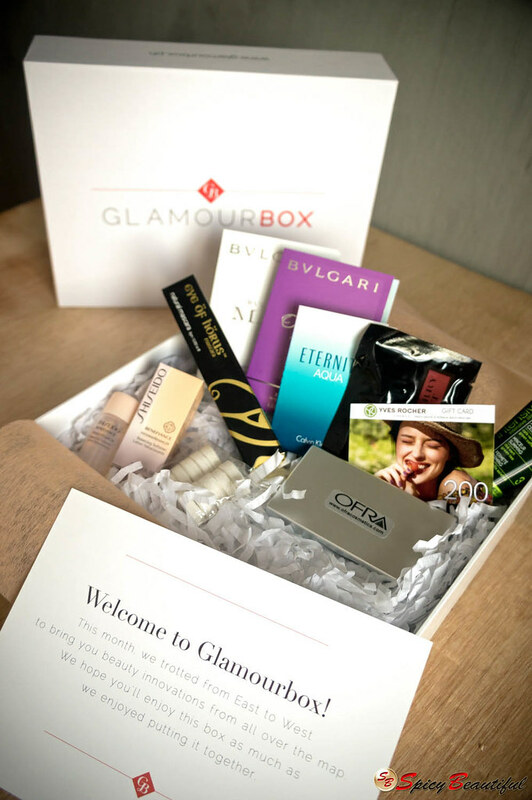 If you’re familiar with Birchbox, Glossybox or Ipsy, chances are you already have an idea what Glamourbox is all about. Simply put, it’s a subscription beauty box service that ships specially curated and hand-picked beauty product samples right at your doorstep for only Php 595.00 a month. To be quite honest, I was feeling kind of overwhelmed with the contents of my Glamourbox. They totally spoilt their subbies with quite a handful of makeup, skincare and fragrance goodies to try for their initial launch. 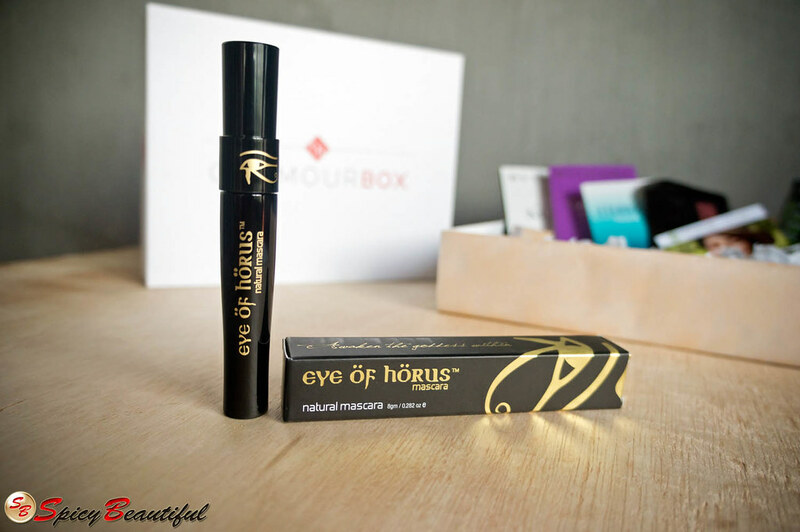 EYE OF HORUS Mascara – Quelle surprise! This natural and plant-based mascara came in full size! Considering that this product alone costs AUD $30.00, I really felt that I already got the entire sub fee’s worth. I haven’t tested this yet since I’m still working my way into finishing my theBalm Cheater Mascara as of this writing. I’ll write a separate post/review for this product soon and let you know what I think. SHISEIDO Benefiance WrinkleResist 24 Balancing Softener and Benefiance Pop Up Mask – This reminds me of Philosophy’s Retinol pads. I love the way my skin feels after using this sheet mask soaked in the solution that comes with it. It that makes the skin look plump and feel rejuvenated especially when I lack sleep at night. 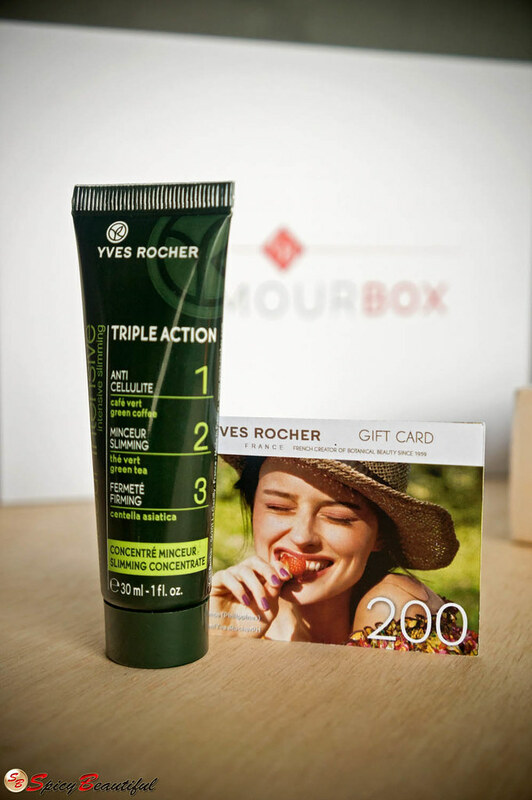 YVES ROCHER Slimming Action Concentrate – This is perhaps, the most interesting product from the bunch. It’s one of those slimming and toning lotions that claims to minimize the appearance of cellulites on the skin. I tried applying this on my arms and it gave my skin an uncomfortable tingling sensation. My nose is not sensitive but I still find its scent too cloying. OFRA COSMETICS Lipstick Palette – This is the first time I heard about this professional makeup line. 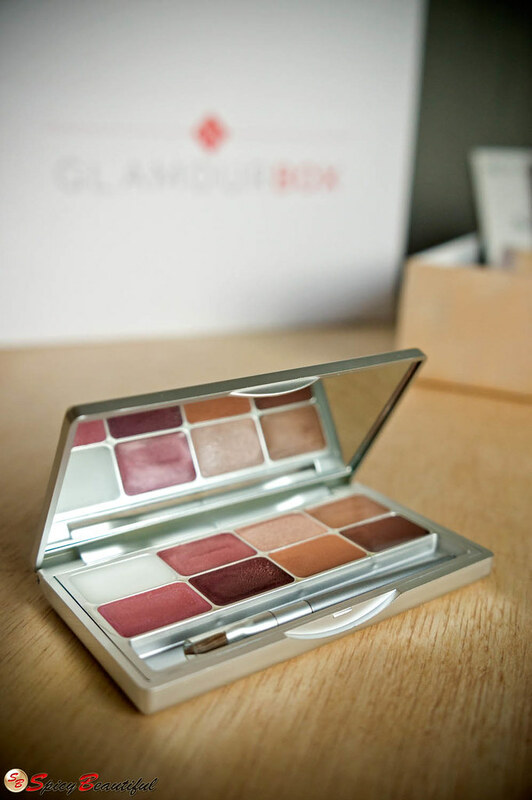 This lipstick palette looks neat with its sturdy compact casing and huge mirror. The colors are very wearable with an accompanying dense lip brush for easy application. Sweet! BVLGARI Omnia Amethyste – this fruity floral fragrance for women opens with the juicy note of pink grapefruit. The floral heart reveals a multi-dimensional sweetness from the notes of Bulgarian rose and iris. The base provides a heavenly comfort from the gourmand features of heliotrope being lulled by some woody accords at the trail. I love how the citric accords of the opening melds perfectly with the floral heart as it develops into an airy scent that smells ridiculously girly yet classy. The projection is moderate as it stays close to the skin in barely in an hour. I almost fell in love with Bvlgari Omnia Amethyste until it completely disappeared in two hours! It’s weird because the other Bvlgari Omnia flanker, Crystalline, lasts for 8 hours on me. CALVIN KLEIN Eternity Aqua For Women – I’ve always loved the original Eternity For Women so it’s no surprise that I’m loving its 2012 flanker as well. This aquatic-floral cocktail opens with a refreshing combo of sliced cucumber, dried apricot and white peony petals drenched in pink lady apple juice. The floral heart is bursting with stimulating aromas from jasmine, gardenia, magnolia and tiare. The base subdues the heady floral heart with woody notes of cedar and musk at the base. This is a fragrance designed for the warmer months because it’s spot on crisp and clean. It’s the contemporary version of the original fragrance with the addition of sea accords in the opening. The sillage is to die for and wears fairly well for 6 hours. BVLGARI Man – This oriental woody fragrance for men is inspired by a contemporary man’s potential to showcase his masculinity with fierceness and substance. It opens with citric blast from bergamot made opaque by lotus and violet leaf aromas. The heart shows off an intense green accord tamed by vetiver and sandalwood. The base is animalic with its resinous musk note and amber nuances. This is one of the most masculine fragrances I’ve ever smelt. I get a subtle leathery feel from this during the dry down which I find a comforting and hypnotizing. The staying power is impressive because it wears for more than 12 hours! BURBERRY Sport For Men – The grapefruit note in the opening of this aquatic fragrance for men is so bright and invigorating. The heart cradles a spicy sweet aroma from juniper berries and red ginger resulting to a surprising sea accord. The intense musk note at the base leaves a woody and translucent trail. To be quite honest, I find the scent of this cologne to be very generic. There are so many brands out there sporting fragrances of this kind so that leaves me with an impression that this cologne was somewhat uninspired. What makes Burberry Sport For Men different however is its monster sillage and magnificent longevity that never wears off until you literally take a shower. The answer is a big fat YES! Judging from the variety of goodies they put together in this box, the Php 595.00 monthly service fee is totally worth it.